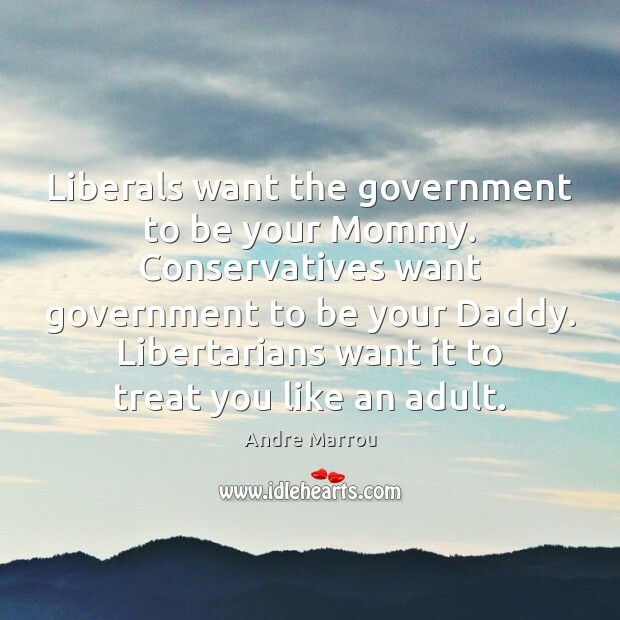 Enjoy the best inspirational, motivational, positive, funny and famous quotes by Andre Marrou. Use words and picture quotations to push forward and inspire you keep going in life! Republicans don't want anyone having more fun than they do, and the Democrats don't want anyone making more money than they do. 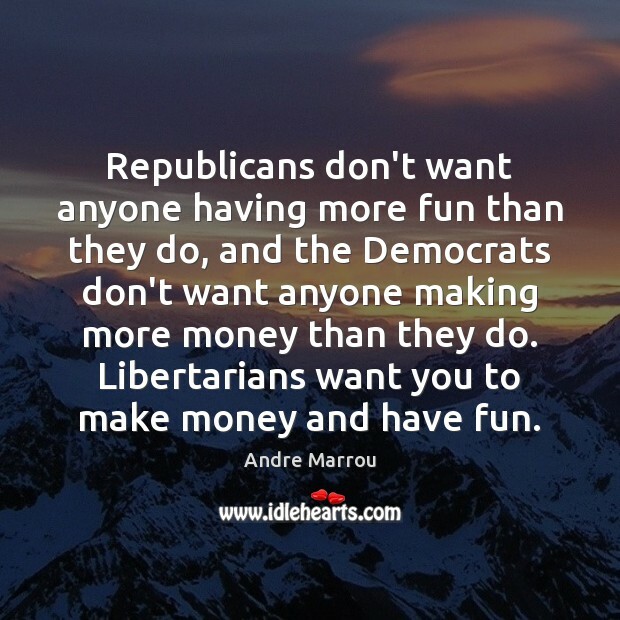 Libertarians want you to make money and have fun.